Let us review the basics of freight factoring, some of the common questions people ask, and some important things to look for when you’re shopping for the best factoring company. Running a successful trucking company can be complicated. But deciding whether freight factoring is right for you, and which is the best factoring company for your needs, shouldn’t be. A freight factoring company purchases account receivables (invoices) from a trucking company for a fee. Factoring allows companies to get paid faster and is especially helpful for managing cash flow when a carrier is working with brokers or shippers that have payment terms of 30 days or more. You haul and deliver a load for your customer. You send the load’s paperwork and invoice to your factoring company. The factoring company buys the invoice and you receive payment from them. The factoring company sends the invoice to your customer. The factoring company collects payment from your customer for the invoice. Freight factoring for the trucking industry has been around for several decades. But still, there is a common misconception that factoring is a last resort for failing companies. Not even close. Hundreds of new trucking companies are formed monthly. They are granted motor carrier operating authority and off they go. It’s especially difficult for new and small trucking businesses to qualify for traditional financing from a bank. That’s why so many turn to freight factoring to manage cash flow and avoid accumulating heavy debt. More established trucking companies use factoring to grow their businesses. They rely on a steady stream of debt-free cash from factoring their account receivables as opposed to dealing with the debt brought on by a bank loan or increasing a line of credit. Trucking companies also choose a freight factoring company to streamline cash flow, check credit on their customers, and outsource collections. 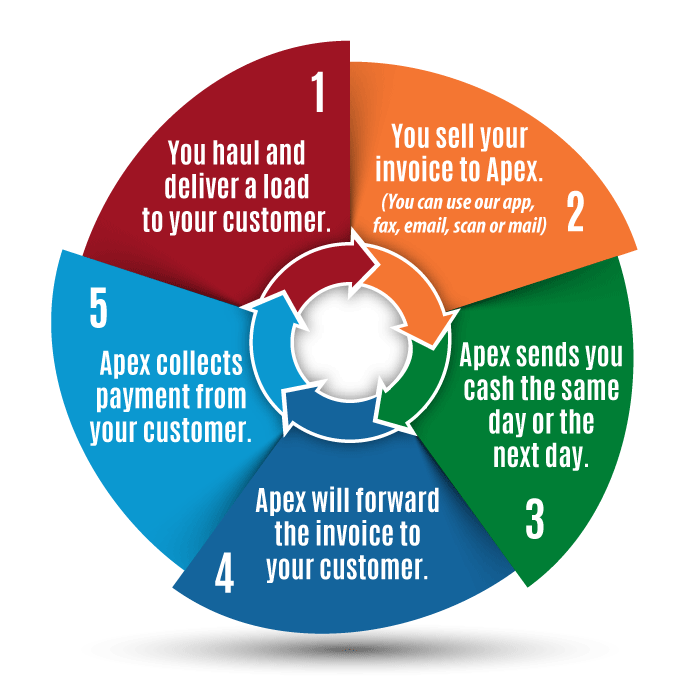 Many freight factoring companies advance you the money you need within 24 hours of purchasing your freight invoices. Some may take longer, so ask about processing and cutoff times.